Whoa - when did she grow up so much? 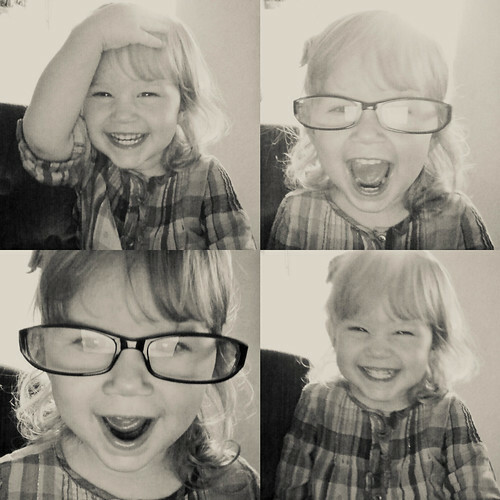 Not sure if it's the longer hair or glasses, but seriously...she's turning into a little girl! What a sweetheart. omg i can hardly stand the cuteness! stop it with this cuteness. i can't even handle it right now. so adorable. holy baby fever. or toddler fever I suppose... haha! you're killing me. Awww! I want to hang these photos on the cubicle of every grumpy person at my office. Instant smile! SO cute! What a happy little lady! !